The soft falketind Alpha60 Jacket is Norrona's most breathable and light weight insulation jacket made for mountaineering and general outdoor activities. 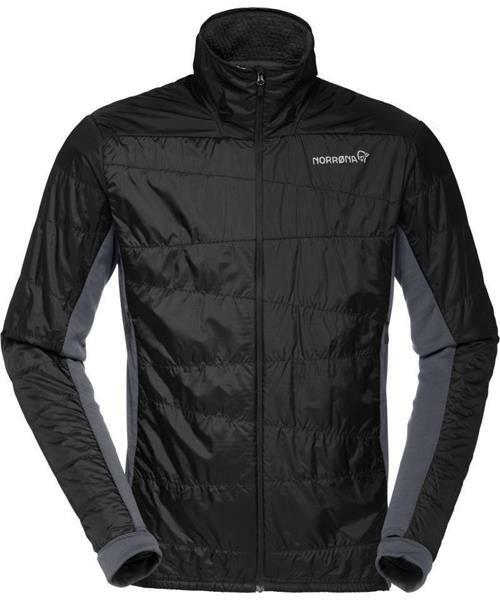 With its sleek design, it can be worn alone or in combination with an outer layer; The Polartec® Alpha60 provides great insulation even when wet, it is very quick drying and has a higher warmth-to-weight ratio than fleece. They also made it without any liner to keep the weight down. The Polartec® Power Stretch side panels and cuffs ensure a good and athletic fit and prevent bulkness. It has a warm and weather protective collar, two spacious hand warming pockets and one hand elastic adjustment in hem.